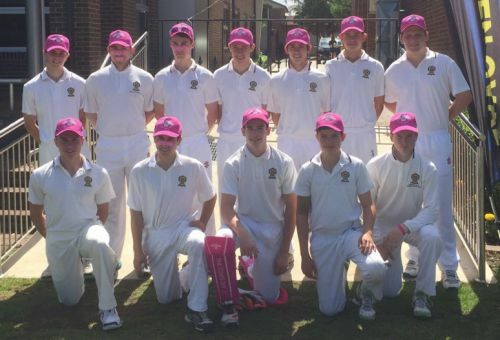 St Patrick’s hosted Pink Stumps Day last Saturday 12 November, when our 1st X1 took on St Stanislaus College. The day was a huge success both on and off the field. The College was decked out in Pink to help celebrate the occasion and even the Headmaster, Mr Murphy, got into the act, looking a treat in his pink cap! Our aim was to raise $500 for the McGrath Foundation, which helps support Breast Cancer patients and supplies nurses across Australia for their care. The College is pleased to say that the Cricket community of St Patrick’s helped smash that target and a massive $2,485.30 was raised in support of the McGrath Foundation. A big thank you must go to Loretta Mynett and all the volunteer parents for their help on the day.